Essential to the marketing efforts of all companies is the area of local citations particularly if your company operates at a local level. So what are local citations? Any mention of your company’s NAPs, on the internet. Name Address, Phone Numbers – email and website can also be included in this. Any partial mentions around the net. So, for example, a local news site may mention ‘Carousel Projects of Mereside Rd Mere’ so this would not have the full set but just part of it. The problem for most companies is that mentions around the net, particularly on directory sites where listings may have been hastily put together, may be inaccurate or incomplete. This muddies the trust signals for Google who frankly want to see all mentions of your company matching your GMB or Google My Business page which of course is your starting point when making sure they are all harmonised. Problems can occur when the name is presented in a different fashion on varying listings. Let’s say your company name is Carousel Projects Limited and this is clearly stated in the footwear and contact pages of your website. You may well find that you have inadvertently put Ltd. instead of Limited. You may find some clever staff members has written Carousel SEO or Carousel Proj. and not retained consistency throughout all of your listings. It is better for SEO of course if they are all the same. Not least to avoid any confusion with other companies that might have similar names. Variations can occur between a property number and its name. For example, we don’t have a property number it is just Rosemere House but some bright spark may have assigned one, creating inconsistencies between your site and a particular directory. Some sites don’t require you to enter your county, just the postcode and other sites, well they may just have misspelt the address all together. Once again this must be consistent with the phone number on your website. It may seem like a simple thing to do but often people have a number of different phone number for different departments and it’s important to make it clear what the real contact number and if there is one the extension which is most appropriate. It is important to list a single contact email even though many may exist throughout your company. This must match the one on your site so for example sales@yourdmain.co.uk – it is this email that you must make sure is correct around the net. Domains can vary depending on how you want them presented. For example, we are https://carouselprojecst.co.uk which looks pretty straightforward but notice there is no www, and we used to be http but have since moves to https. If all of your citations are http then when someone comes to your site you better pray they put a forward from the old domain to the new. So even small variations in your site address can make a difference. From the above, you can see that your listings around the web can vary enormously making it very hard to retain any kind of consistency. This is before the subject of moving premises is even thought about. Companies move offices all of the time and with that not only creates the physical work of actually moving but all of the citations around the web which need updating. 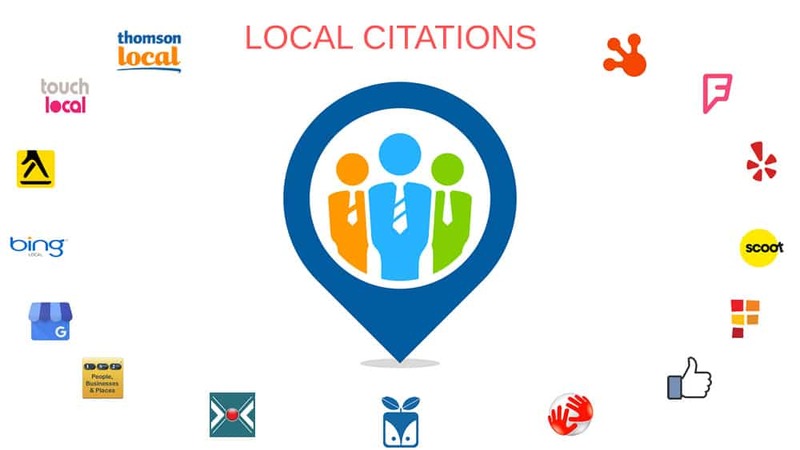 Citation Mangement is the act of keeping all of these details consistent around the internet but also making sure that your company is being listed on the best white hat or ‘safe’ local directories. Not just because this is good for SEO but so that people can actually find you when they want to contact you! Your company may well have more than one location in which case it is important to have more than one Google My Business Listing and associated NAPs for each location. Each one must be listed correctly in the city or area that it is located. Our Citation Management costs from £325 per year for a single location. Contact us using the form on the right of this page specifying Citations in the subject line.